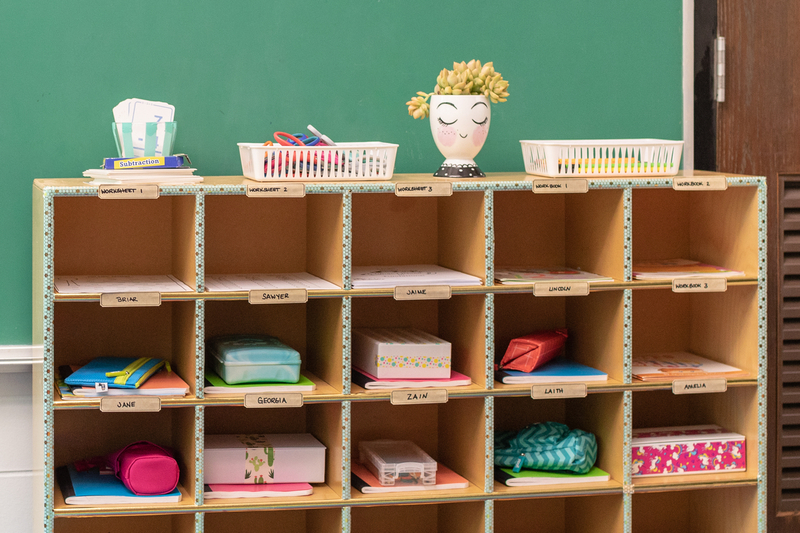 Give your classroom cubby storage containers and organizers a DIY makeover. Spruce up colorless cubes and battered bins with cheerful Duck Washi® Crafting Tape. 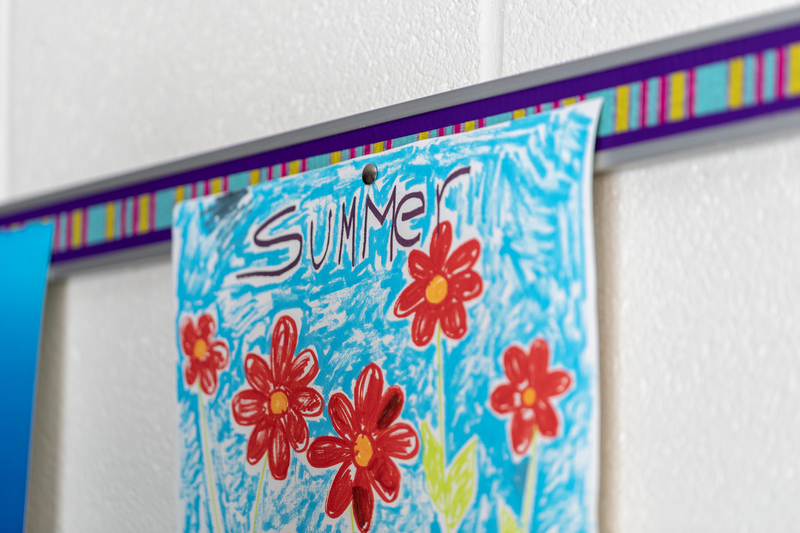 Bulletin boards are a staple in most classrooms but getting creative with the decorations can become a challenging and expensive undertaking. Enter Duck Tape®. Use bold Duck Tape prints to inspire your theme and color Duck Tapes and accents to tie the look together. 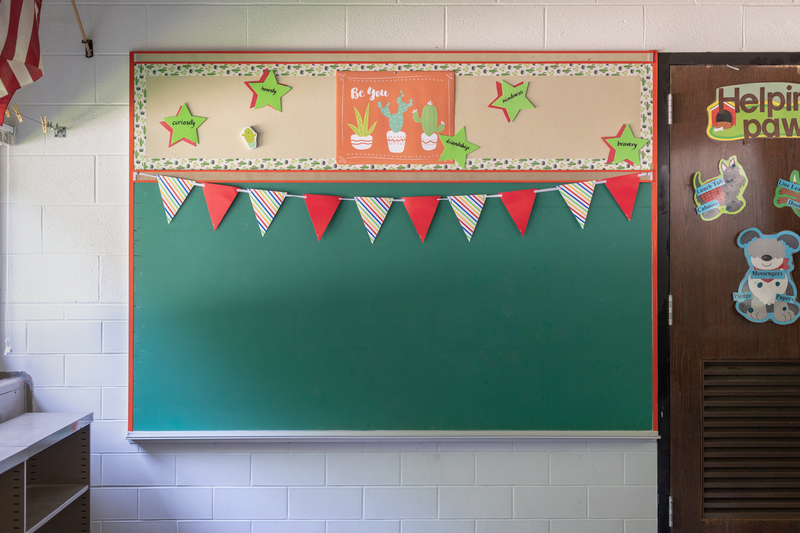 Does your classroom have drab drop ceiling tiles? The answer is probably yes. Did you know you can use fun Duck Tape colors and prints to spice them up? 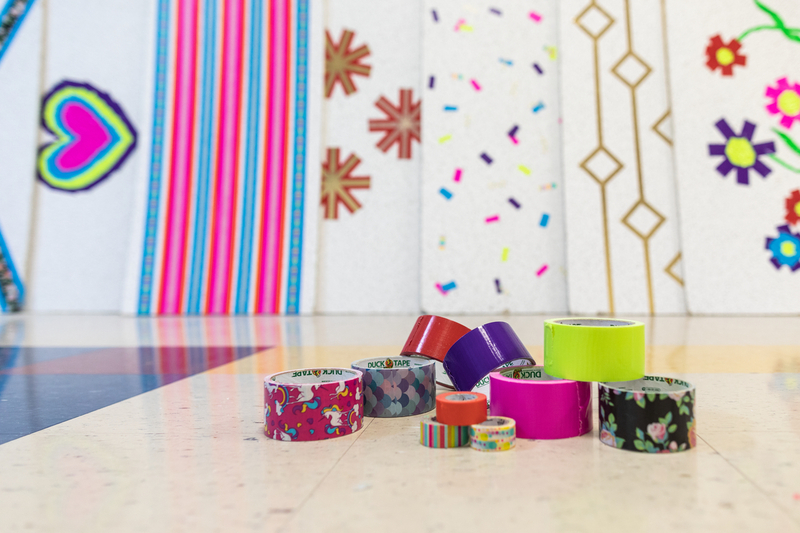 Layer on bright washi tape for an even more vibrant look. Bonus points if you let your students design their own tiles as a fun back-to-school art project. While super functional, metal filing cabinets are not always the most eye-appealing classroom decor. But not anymore! 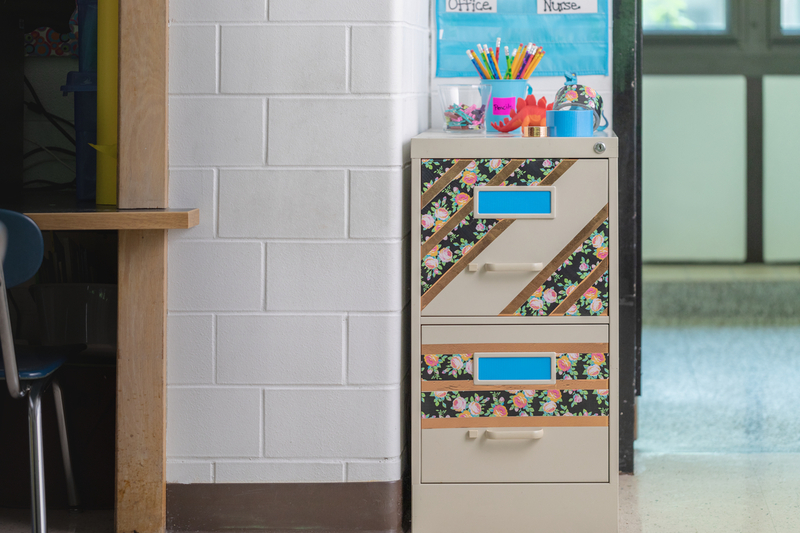 With prints and colors to satisfy just about any style, transform your filing cabinet from fashion don't to do in a matter of minutes. Get creative with cork! Add a stylish twist to an artwork display by covering cork board strip with brightly colored tape. Getting kids to keep their things organized in the classroom is always tricky - why not jazz up their lockers with some quick Duck Tape decor? 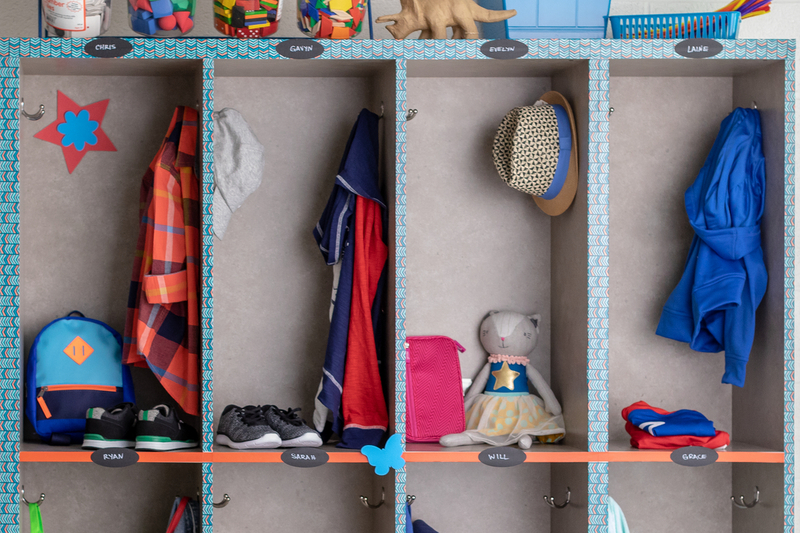 The kids will love using their fancy lockers, and you'll love your neat and tidy space. 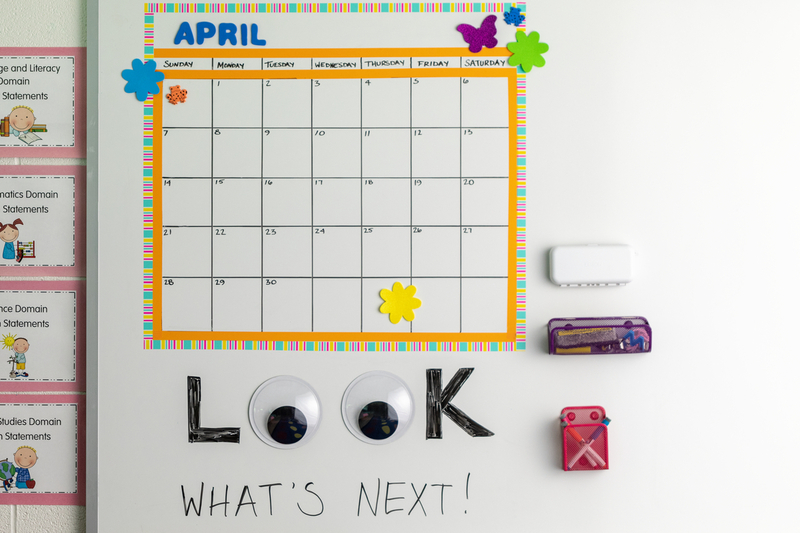 What better way to keep track of the school year than a customizable washi tape calendar?! Use different colors and patterns to get creative with your design. Plus, you can make the calendar as big (or small) as you need!